Israeli cancer research leads to life-saving drug - and a grateful patient joins the Israel Cancer Research Fund. When Jeffrey Kriezelman first started feeling the pain in his back, he shrugged it off as the vestige of an old baseball injury. A busy immigration lawyer whose Chicago firm helps immigrants and asylum seekers gain lawful status in the United States, Kriezelman also was an avid athlete who had spent many seasons playing outfield in a men’s senior baseball league. Between sports and long hours at the firm he ran, Kriezelman, in his early 60s, didn’t have time to give pain much thought. But weeks went by and the pain worsened. So Kriezelman called his son Justin, an ER doctor. Justin had his father come to the emergency room when he was on shift and undergo a CAT scan. The radiologist didn’t see anything suspicious. But something didn’t sit right with Justin, and he decided to take a look at the scan himself. He spotted a lesion and a crack on his father’s T2 vertebrae — a telltale sign of multiple myeloma, a cancer of the blood in bone marrow that causes skeletal fractures. Every year, approximately 14,000 Americans per year are diagnosed with the disease and more than 12,000 die from it. Justin had to break the news to his father. 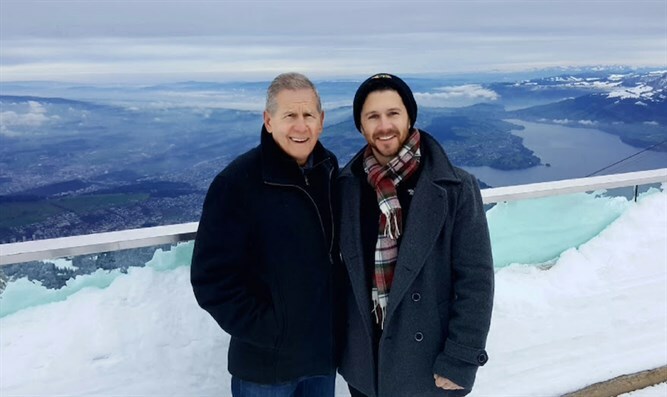 “Going back into the room and telling your father that he has myeloma – it was a surreal, nightmarish experience,” Justin said. Seeing his son’s ashen expression, Kriezelman instantly understood something was horribly wrong. The diagnosis, confirmed by a biopsy, came as a shock. Very quickly, Kriezelman went from healthy and highly active to mostly bedridden. His battle against cancer became a family affair. Justin became his father’s point man for treatment, searching for specialists. Kriezelman’s wife, Adrienne, became the primary caregiver, helping her husband get out of bed and driving him to appointments, keeping records of his chemical levels and giving him injections of drugs when needed. She did this all while doing the bookkeeping for the seven-lawyer firm her husband founded in 1974. Meanwhile, Justin and Kriezelman’s three other children began to search for treatment options. All things considered, Kriezelman was relatively lucky. Until a few years before his 2009 diagnosis, most multiple myeloma patients died of the disease within three years. But in 2003, scientists achieved a major breakthrough. An experimental drug called Velcade proved so effective in clinical trials that the trials were halted early and the FDA granted it accelerated approval. The drug was based on groundbreaking research conducted in the late 1970s and early ’80s by a pair of Israeli scientists, Dr. Aaron Ciechanover and Dr. Avram Hershko of the Technion-Israel Institute of Technology. The research – funded by the Israel Cancer Research Fund and for which the pair would share the 2004 Nobel Prize in Chemistry with American biologist Irwin Rose – centered on how cells destroy proteins they no longer need. The scientists discovered a ubiquitous type of protein present in every cell – dubbed ubiquitin – that attaches to proteins the cell wants destroyed. The affected proteins are then taken to a chamber of the cell called the proteasome that functions as a sort of garbage disposal, breaking down the unnecessary proteins. This disposal function, known as “protein degradation,” is part of the normal process by which cells divide and duplicate. Velcade works by inhibiting the proteasome garbage disposal, allowing the proteins to survive to damage their host cells. While that’s an unwanted outcome for healthy people, it’s the goal of chemotherapy: to kill cancerous cells. Ciechanover likens the effect to a sanitation strike: As Velcade inhibits proteins from degrading, they accumulate around cancer cells, leading to their death. Velcade was the first proteasome inhibitor to be approved for treatment. Though myeloma is still a grim diagnosis, improvements in treatment – including drugs like Velcade – have helped increase life expectancy, with the five-year survival rate rising from about 25 percent of patients in 1975 to 50 percent today. But treatment is hardly formulaic and may involve a combination of chemotherapy, drugs to prevent bone loss, radiation, surgery, stem-cell transplant and replacing malignant plasma cells with healthy ones using a machine. Justin’s search for the right treatment led to Dr. Bart Barlogie, founder of the Myeloma Institute at the University of Arkansas for Medical Sciences. Barlogie had pioneered a treatment approach combining chemotherapy with stem-cell transplantation to achieve a five-year survival rate of 75 percent, according to his institute. Kriezelman and his wife began making regular trips to Little Rock for treatment, renting a condo there and commuting back and forth from their home in Winnetka, north of Chicago. At Barlogie’s clinic, Kriezelman received a combination of two stem-cell treatments, using cells harvested from his own body, and chemotherapy that included Velcade. The treatment was grueling. Kriezelman would spend up to a month in Little Rock before returning to Chicago for several weeks of recovery, then go back to Arkansas for another cycle of “heavy duty chemo.” He kept working the entire time, having case files from Chicago sent to Arkansas. After a year and a half, in 2010 Kriezelman was officially declared in remission. But he endured another 2 1/2 years of lower-intensity chemo, all with Velcade a key part of the cocktail. It has been about four years since Kriezelman went off chemo. He still does regular checkups with Barlogie, who is now at Mount Sinai Hospital in New York, but he’s healthy and looking forward to celebrating his 70th birthday in August. Kriezelman credits his survival to the discoveries by Hershko and Ciechanover that laid the foundations for Velcade’s development. To express his gratitude, he joined the board of the Chicago branch of the Israel Cancer Research Fund, which raises money in North America for cancer research in Israel. Kriezelman was able to thank Ciechanover personally when the two were honored at an ICRF gala in Chicago in December 2014. 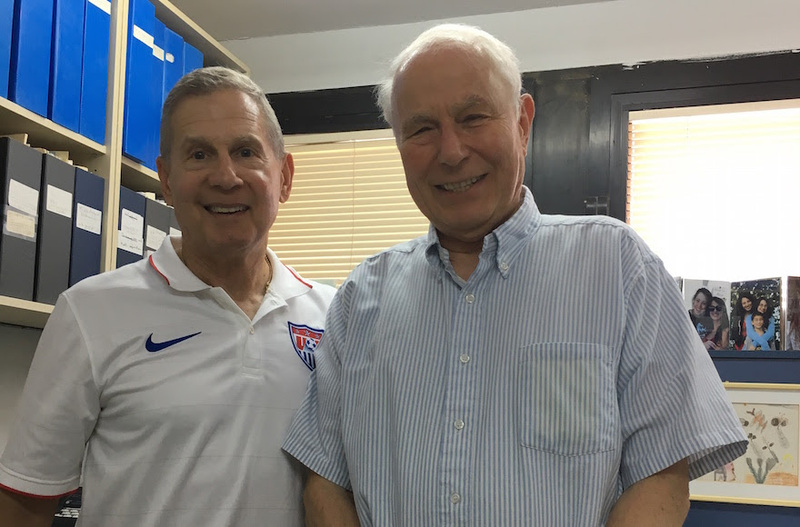 A year later Kriezelman met Hershko at the Technion while on a visit to Israel for his granddaughter’s bat mitzvah. Today, Kriezelman has the grateful, take-nothing-for-granted approach of someone who stared death in the face and survived. Kriezelman no longer plays baseball, but he keeps busy with his law firm, Kriezelman Burton & Associates, where among the lawyers are his son Matthew and son-in-law Justin Burton. Without Burton’s work during his illness, Kriezelman said, he would have had to shutter the firm. Kriezelman’s work is also tied to his philanthropy. His firm provides pro bono work for the Chicago Volunteer Legal Services Foundation, which helps those who cannot afford legal representation, and he is president of the Chicago chapter of refugee resettlement agency HIAS, formerly the Hebrew Immigrant Aid Society. Kriezelman’s daughter, Gillian, has been instrumental in organizing the Chicago chapter of the Israel Cancer Research Fund’s young leadership branch. Looking back on the experience, Justin Kriezelman is hesitant to take credit when a reporter suggests it was his act of spotting the lesion on that fateful CAT scan that saved his father’s life. Eventually he acquiesces. For his part, Kriezelman has no doubt it was his son who saved his life. “All the tuition for medical school paid off,” he joked.